High quality roofers are in demand. Schedule your reroof ASAP! High quality roofers are in demand. Be sure to schedule your reroof early. When I talk with other roofers in the Bay Area, we’re all finding the same thing: we’re scheduling nearly twice as many jobs as we were this time last year. This is great news for roofers and others working in the construction industry. But for homeowners, it means you need be more proactive about planning for your home’s needs. If you live in the North Bay and you think you might need roofing work done in the next year or two, don’t put off finding a contractor. 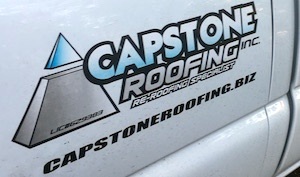 There are two main reasons why high-quality roofers are so busy. First, the economy is in good shape. After the 2008 recession, many homeowners put off major repairs. Today, more people have the savings or financing available to finally get that new roof they’ve needed for a few years. Capstone is looking forward to a very busy 2018! Nationwide, the demand for residential construction work has far outpaced the supply of skilled labor. Many contractors are having difficulty finding experienced employees to fill out their work crews. If you want the best workers taking care of your home, you’ll need to hire your contractor well in advance. The second reason homeowners need to get ahead of the game in finding a roofing contractor is the North Bay Wildfires. Nearly 9,000 structures throughout the region were destroyed in the conflagration. As a Sonoma-based company, we’ve seen firsthand the resilience of our community. The recovery process will take time, but our region will rebuild. By this time next year, many homeowners and business will be ready to start reconstruction. As the rebuilding process begins in earnest, the need for roofers and other contractors will grow. If you want an experienced company to do your roofing work, start planning today. With a stronger economy and greater local need for contractors, getting the company you want may be more of a challenge.